WATCH VIDEO and see our Photo Gallery too! 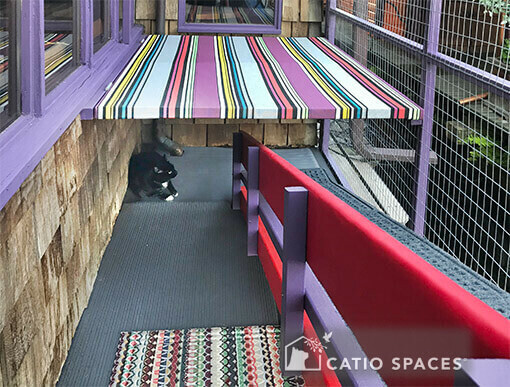 Two special needs cats with Cerebellar Hypoplasia (CH), enjoy a custom designed catio for their mobility, safety and enjoyment. 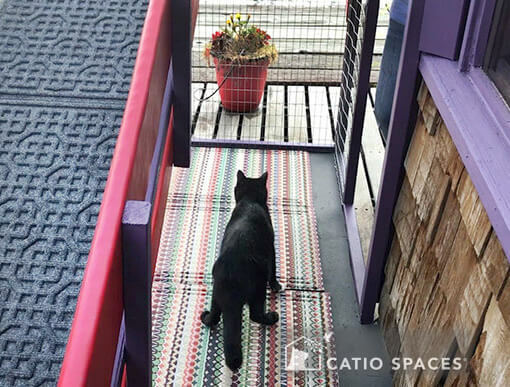 See adorable Rosemary and Boots enjoying catio life on a houseboat! Cerebellar Hypoplasia (CH) is a rare congenital condition that causes kittens to be born with various levels of mobility challenges. 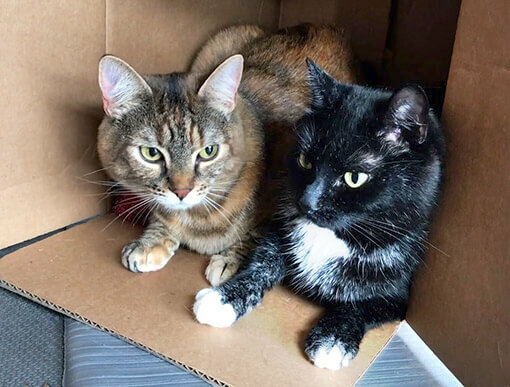 Depending on their level of mobility, these cats can often live full, long and healthy lives, with just a few extra precautions around the home. 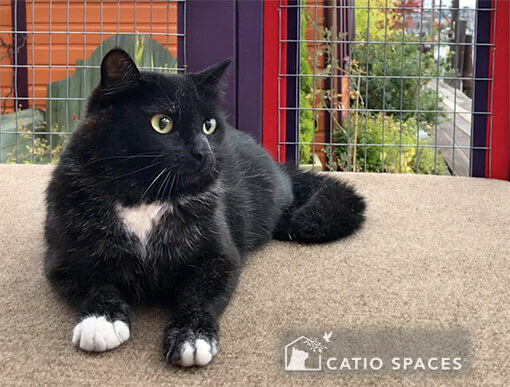 Because the condition is fairly rare, people unfamiliar with the condition often grimace when they first see these cats move, fearing they’re in pain. The condition is not painful or progressive and mild to moderate CH cats often live very normal lives. 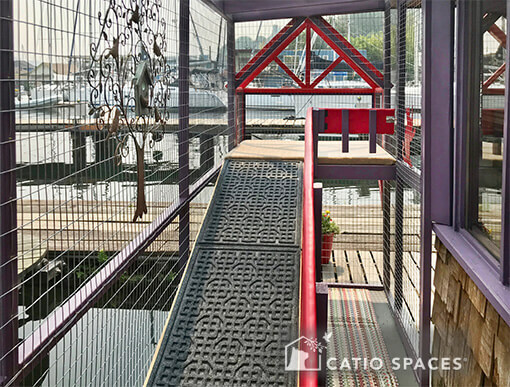 Get a behind the scenes glimpse of the houseboat catio installation and some feline dock greeters. 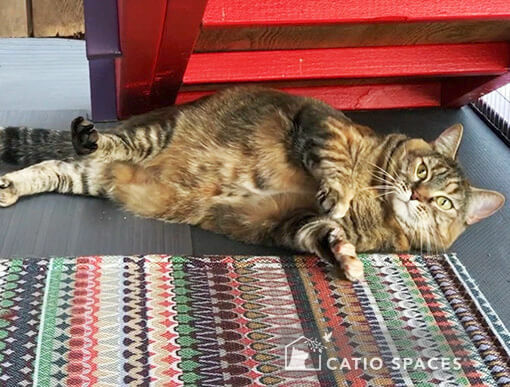 A perspective on living with CH cats with Anna Boyd, proud cat mom of Rosemary and Boots. 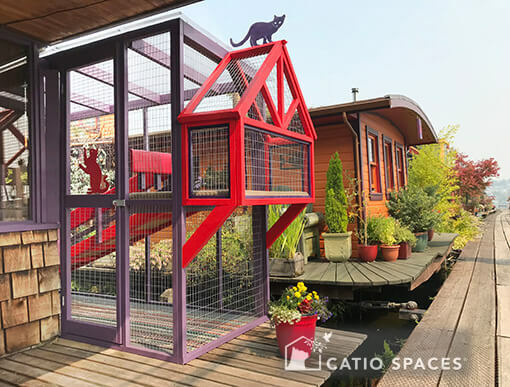 This mobility-friendly catio was designed and built by Catio Spaces. 10% per purchase is donated to Animal Welfare organizations. 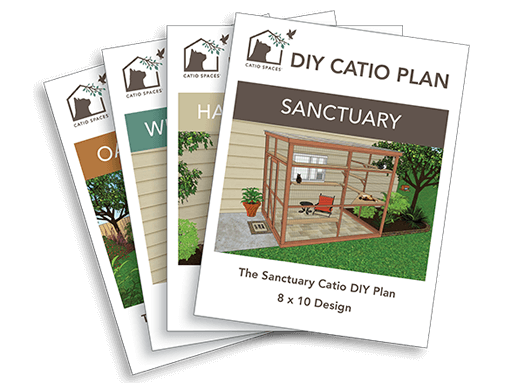 Build one yourself…or hire a carpenter to build a catio plan for you!